Prominent & Leading Exporter from Navi Mumbai, we offer xylometazoline hcl 0.1% nasal drops and cold rub balm. 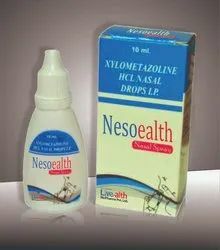 Xylometazoline nasal is a decongestant that shrinks blood vessels in the nasalpassages. Dilated blood vessels can cause nasal congestion (stuffy nose).Xylometazoline nasal (for use in the nose) is used to treat stuffy nose caused by allergies, sinus irritation, or the common cold. Packaging Details: 10ml Drop in a printed carton. 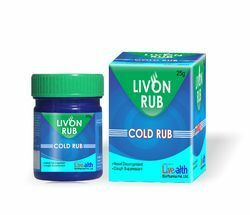 Livon RUB is the perfect remedy for cold congestion as it is the first ever specialist formulation which is gentle on skin, but tough on cold. It is 100% natural and has no side effects. It contains specialized oils which gives soothing aroma and faster relief from cough and cold. Apply gently on nose, forehead, chest, throat and back for quick relief from cold congestion.